Wife actually checked in Canterbury Hospital the day before when her water broke. Apart from that, nothing much happened. Took a sickie from work, and spent the whole day just waiting for the contractions, which didn't come. At 6:30am, got an SMS from the wife that the contractions are starting to build up. MIL raced to the hospital, while I packed off Aidan to daycare and took out the laundry. By the time I got to the hospital, the wife is already in the middle of childbirth. So what happened was, the wife decided to take a bath before the big event. By the time she finished, it's definitely on. The doctors' told her that it's already too late for the epidural. In addition, the anaesthetist was nowhere to be found. After some intense grunting and pushing, Aaron popped out at 7:40am, weighing 1960 grams, and 43 cm long. A lot lighter than what we're expecting from the last ultrasound estimate, but everything's good all in all. After attending a garden (park) wedding and a (church) reception at Pyrmont, I took the bus to Maritime Museum for the Vivid Aquatique light show at Darling Harbour. It's half an hour before the 6pm show, but we thought might as well go there early and look for a good spot. Bad idea. It's raining and the wind is blowing hard. We were huddled under the overpass, and yet we're still getting drenched. The show is basically some dance video projected on a water curtain with some water jets spraying here and there. To be honest, the water jet show at Bellagio, or even the laser light show at Suntec City or Sentosa are much better. Cold and hungry, we went to Harbourside for dinner. Most of the restaurants are either fully booked or have long queues. We ended up at Harbourside Thai which is relatively less busy. For good reason. Almost all of the dishes we ordered, like BBQ pork or BBQ chicken or deep-fried chicken, were "not available". Had to settle for stir-fried noodles and microwaved skewers. Would've been nice to see the 8:30pm fireworks, but the rain is not letting up. Of course, by the time we hit the road, the winds stopped and the rains became a light drizzle. Enjoyed the fireworks from my rear-view mirror. At the carpark near our hotel, we were going up and down the 4 levels, looking for a spot. There are a few cars about, and everyone is following everyone else hoping to get lucky. We eventually got lucky after half an hour. In comparison, checking into the Vibe Hotel took all of 5 minutes. 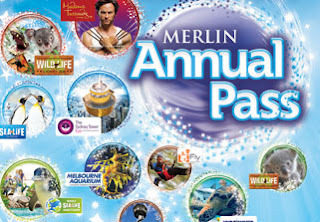 Having bought the Merlin Pass just the other day, now's the time to start using it. Went into the city early to catch the early bird parking at Darling Quarter Wilson Parking. Entry before 9:30am and exit after 3pm for $14 whole-day parking. Book a bay online and the rate goes down to $10. 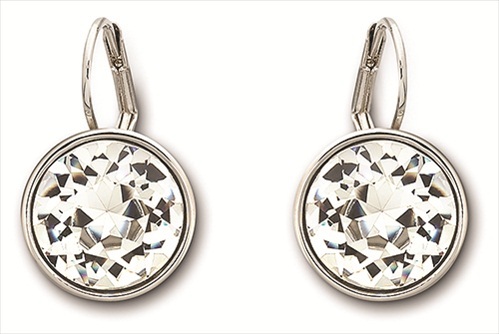 I reckon the summer special promo is very popular as the online slots are all booked out. We spent some time at the playground, then off to see the giant yellow rubber duckie. The 5-storey high "sculpture" by artist Florentijn Hofman is part of the Sydney Festival which opened on January 5. After a few pictures, we headed for the Sydney Aquarium. After the renovation, it's now called the Sea Life Sydney Aquarium. Protip: Instead of joining the queue for entry tickets, just go to the gift shop and buy them there. Anyway, that's where we got our personalized Merlin Passes. The aquarium is interesting enough that we spend a couple of hours there. We even bought the $35 photobook that they are upselling to us. Yup, that's where the photos at the entrance went. By the time we got out for lunch, there's a long, loong line for aquarium tickets. Didn't know it's that popular. Next stop is Madame Tussauds wax musuem. I expected the place to be kitschy, but I came away impressed with the displays/sets and the quality of the wax sculptures. Everyone seems to be having a good time taking pictures with the personalities. Ah, the things you could do to them here, and still get away with. Last stop is Wild Life Sydney Zoo. Having been to Taronga Zoo, nothing here excites me. One good thing is that their photobook costs only $10(?). Before we left our cottage at Blackheath, we drove down the road to check out Govett's Leap. To the left you can see the waterfalls (formerly known as Bridal Veil Falls). Crossed the railway, and followed Shipley Road all the way to Hargraves Lookout overlooking Megalong Valley. There's a Swedish couple having their wedding there, so we didn't stay long. Next stop, Katoomba. Been to Echo Point a few times already, but the Three Sisters never disappoint. For something different, we decided to check out Scenic World after lunch. Special mention goes to Unique Patisserie along Katoomba Street for its yummy Singaporean/Malaysian dishes and pastries/desserts. Scenic World boasts of three rides - Cableway, Railway, and Skyway. With a $21 Valley Return pass, you can take the railway down the valley, take one of the many trails towards the cableway station, then take the cablecar ride up back to Scenic World. For $7 more, you can get the Scenic Pass, which gives you a two-way ride on the Skyway across the Jamison Valley. Of the three rides, I liked the Skyway best. The 72-person cabin offers 360-degree views of the Jamison Valley. The glass bottom section clears up in transit, so you can see down into the valley, too. As for the Scenic Railway, it's said to be the steepest cable-driven railway in the road at 52 degrees. The ride is too short, though, only 415 meters in incline distance. Another interesting trivia I read somewhere - the souvenir shop is the largest in NSW. Late start for the day as it was foggy and drizzling. A blessing in disguise as who would want to explore an open garden under full sunlight? Hopped on the free shuttle the moment we got to Mount Tomah Botanic Garden. This gave us a chance to see most of the gardens and decide which ones are worth exploring further. For lunch, your one and only option is Restaurant Tomah. A bit pricey, but excellent food. As the restaurant is perched on a ridge, it offers magnificent views of the Blue Mountains. Next stop is Mount Wilson. We bypassed Cathedral of Ferns and went straight for Du Faurs Rocks Lookout. Parked at the fire station and hiked the 500-meter dirt road to the lookout. Not what I would call a proper lookout. No signs or barriers - just a rocky outcrop and a huge drop below. Not even sure how stable the "platform" is. Should be strong enough for at least five adults, as nothing happened when we took our group photo. From here, you can see across the valley towards Bell. On the left, you can see Chinaman's Hat, a rock formation which looks like its namesake. Last time I visited Jenolan Caves was more than five year ago. Five years later, everything is pretty much the same as I remembered it. I don't know, maybe for a World Heritage Area, that's a good thing maybe? Jenolan Caves Road is still as long and winding and undulating as before. The last few kilometers are still quite narrow and treacherous, barely enough for two cars to pass each other. Parking is a problem, too. We got there a little before lunchtime, and the lower first and second carparks are already full. The third carpark we encountered was also full. Lucky for us, a ranger opened the gates to an adjoining one, which can take on about twenty more cars. I'd hate to be that 21st car. The Caves House is pretty much the same as I remembered it, as is the ticket office. The big signboard across the street with the giant location map and the list of caves and their viewing times and availability is still the same one. The caves, I'm sure, they're still the same. Once you're done with your cave(s) of choice, don't forget the free self-guided tour of Nettle Cave and the Devil's Coach House Cave. These are just outside the Grand Arch. Pick up your multilanguage Acoutiguide audio device from the ticket office. All good things must come to an end, even for the Wiggles. After more than 20 years of being in the business, the original cast of the Wiggles (except for Anthony) is handing over the reins to a new generation of kiddie entertainers. 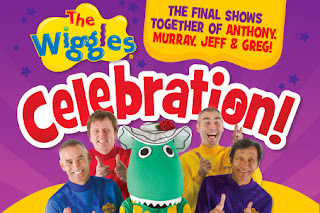 In this farewell concert, the much-loved Wiggles perform the old favourites one last time for their fans - young and old alike. The concert was supposed to start at 1:30pm, but it was delayed a bit. People were lining up to buy merchandise, to have their pictures taken with the Big Red Car, to check in the prams, to buy coffee and foodstuffs, etc. The Allphones Arena was packed, although surprisingly it wasn't full-house. My kid is not a die-hard Wiggles fan, but he eventually warmed up. The Wiggles members were introduced one by one, then Captain Feathersword, Wags, Henry, and Dorothy. The new cast also got to strut their stuff. My only gripe was that I left the DSLR at home. Unlike other concerts, the Wiggles were encouraging everyone to take pictures and videos. I had to make do with the SGS for videos and the Atrix for photos. Whisk together garlic, soy sauce, brown sugar, pineapple juice, banana ketchup, and calamansi juice. Add marinade to chicken in a bowl, cover the bowl with plastic wrap, and refrigerate at least overnight for up to two days. Before cooking the chicken let it rest at room temperature for over an hour. Do not discard the marinade but set aside for basting. Grill chicken over medium heat until cooked through, basting occasionally. Serve fresh off the grill with java rice. 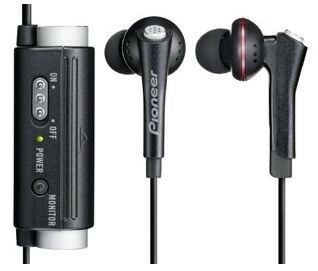 Took the Pioneer SE-NC31C earphones with active noise-cancellation for a test drive on the daily commute. Happy to report that it works as advertised. Instead of simply blocking out everything, it merely cancels out (up to 90% of) the constant noise. That means it doesn't really eliminate the engine revs, but the constant bus hum is gone. Great when you still need to be aware of your surroundings. 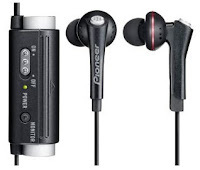 Audio quality is pretty good but not as good as my Brainwavz M4 IEMs. 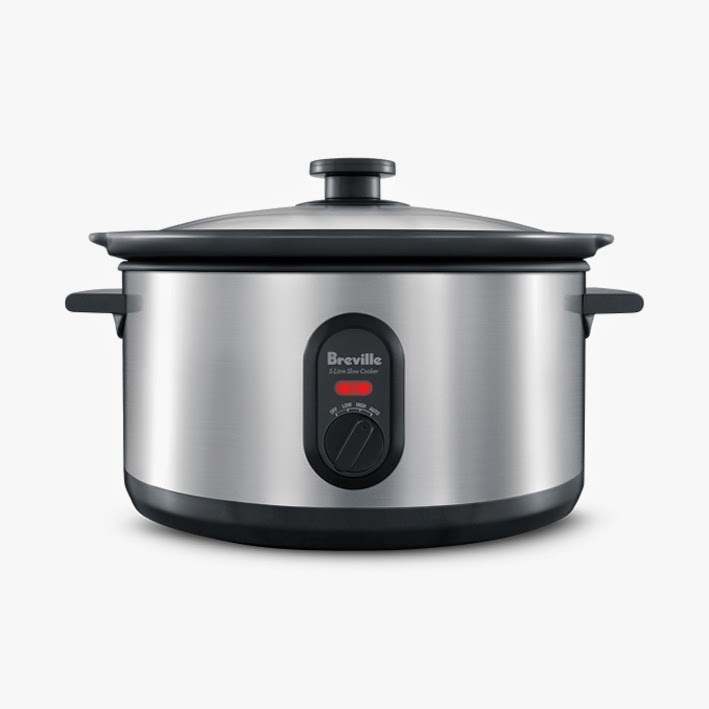 In terms of controls, there is an on/off switch to enable/disable the noice-cancelling feature. 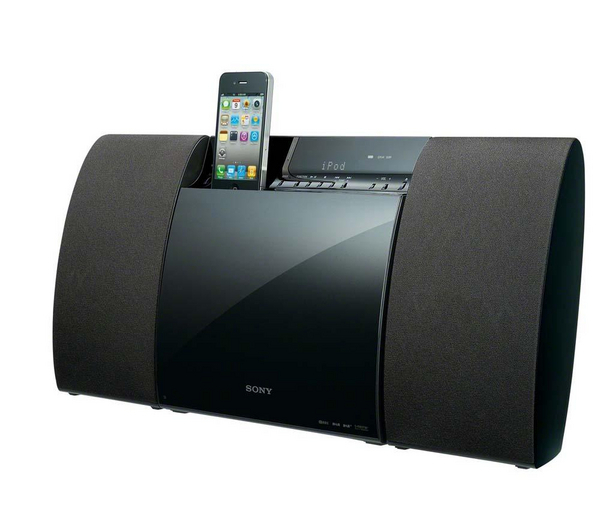 There's also a monitor button to temporarily turn off the audio, so you can "monitor" your surroundings. One AAA battery is supposedly good for 120 hours of noise-free audio. It's another Kid's Market at Five Dock, and you know what that means. More toys, more books, more DVDs. Not that we need anything. Personally, I just like looking around and hunting down bargains. 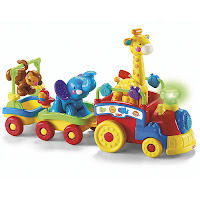 Fisher Price Amazing Animals Sing & Go Choo-Choo train complete with the giraffe, elephant, and monkey figures with the articulated joints and textured feet for only $10? Deal! What about the LeapFrog LittleTouch LeapPad that comes with one cartridge and two books for $5? Bargain! Disney DVDs for $2 and mugs for 50c. These stuff are so cheap, in case Aidan didn't like them, I can use them myself. At $60 per kilogram, this Costco wagyu beef must be the most expensive piece of meat I've bought. Was it worth it? Not really. 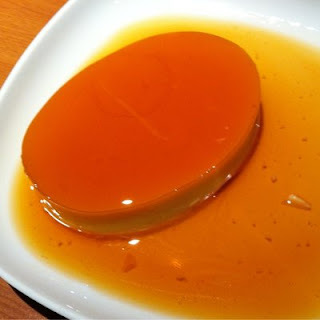 It's quite flavourful and tender, but not mind-blowing as I expected. Maybe I just didn't cook it properly. About 5 minutes each side on the frying pan (high heat), then into the oven for about 10 minutes. There are three components for this timeless recipe - the marinade, the batter, and the sauce. Get yourself half a kilo worth of chicken breast and cut into 1-inch cubes. Put the pieces in a ziplock bag together with the marinade in the fridge for half an hour. Make the batter using the mentioned ingredients. I've got half of the batter left, so it would be a good idea to halve the original portions. Coat the chicken pieces with the batter and deep fry until cooked/golden brown. Let them rest on absorbent paper. Prepare the lemon sauce on a bowl. Heat 2 tablespoons of oil in a wok and slowly add in the sauce. Don't get the oil too hot or the sauce is not gonna like it. Mix until sauce becomes clear. Remove the lemon slices and pour over the fried chicken pieces.